Eat the rainbow, (and no I’m not talking about Skittles). I just love chard and I love it’s crunchy colorful stems. Although, very often, I end up with a lot of extra stem pieces. They’re way too pretty to toss so I’ve started pickling them. Don’t worry, this isn’t a Sunday afternoon project, these are super quick refrigerator pickles. (i.e. the kind I have patience for). You could slice yours into long spears, but I chop mine up (they pickle quicker that way), and them I eat them Japanese Tsukemono style – as a simple condiment with rice (or any grain), and a few vegetables. They’re tangy and a little bit sweet – a bright little pop of color and flavor! Chop your chard stems and sprinkle them with salt. Set aside. Toast the brown mustard seeds in a small saucepan for a minute or so (don't let them burn). Add the vinegars and sugar. Bring to a boil, then reduce to a simmer. Stir until the sugar is dissolved. Remove pan from heat and let the brine cool. Place the chopped stems and sliced shallot in a jar, cover them with the brine and refrigerate overnight before eating them. I like to top mine on salads or in rice (or quinoa) bowls. Love this idea! We don’t have kale available most of the year here in Switzerland. Chard on the other hand is abundant, so I think this is such a great way to make the most of the whole plant! I only have a few chard plants, so I only trim what I need for a meal. Does this resipe preserve the crunch of the stems? Or will it be fine if I use my now limp bunch of stems? they stay pretty crunchy, the stems I used were pretty fresh. Those really are the prettiest pickles! Brilliant idea. We grow so much swiss chard at our farm and I have never thought to pickle the stems. You are a genius and I cannot wait to do this! Thanks for such a simple and easy pickle recipe! oh man these are PRETTY! So pretty! I’m gonna have to try this over the summer months- thanks! Kale is overrated in my opinion. Chard is so much more delicate. These look beautiful. Nice thing to have in the fridge for summer afternoon whiskey drinking :0. Would love to try this idea, but cannot eat processed sugar. Do you think I could use another sweetner? Honey? Agave? Would it work the same? This is such a great idea! I usually end up either cooking my chard stems along with the greens or throwing them into the freezer to save for vegetable stock, but pickles? YES. Must try! The colors are amazing together! These sound absolutely refreshing and summery!! I love the colors, of course, but the taste must be outstanding! The vinegar with the pepper, Love!! 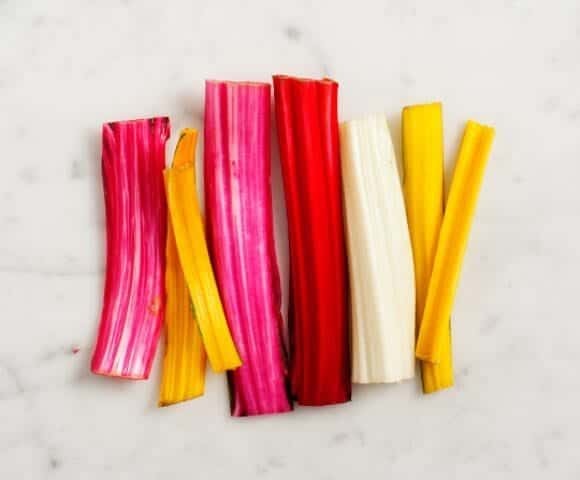 Rainbow chard is one of my favorite veggies! 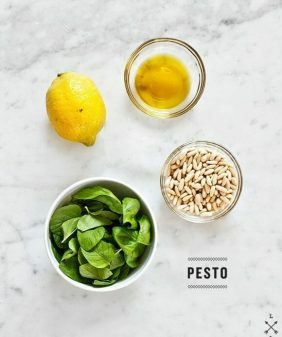 This recipes looks delicious – can’t wait to try it! 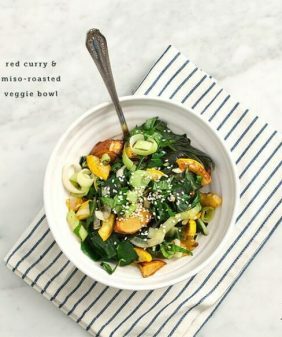 I love the colors in this recipe!! I’ve never seen prettier pickles! Love how you’ve preserved those gorgeous stems for later. Really smart! I love chard more than anything but I always hate throwing the stems away. This is a GREAT idea. Thank you! Do you know how long these should last in the refrigerator? They’ll last awhile – with all the vinegar they won’t really go bad… I usually make a small-ish batch and eat them within a week. 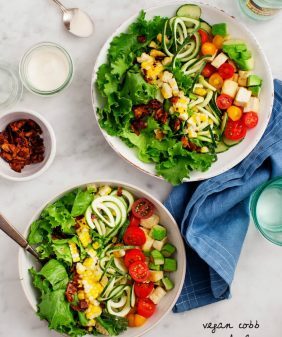 This looks absolutely beautiful- and delicious! Whooo, that seems right up my alley. My garden chard is still teeny-tiny though- it’s been not quite warm in the UK this Spring. I’m bookmarking this for when I have too much to know what to do with. Cheers! um what? this looks awesome! 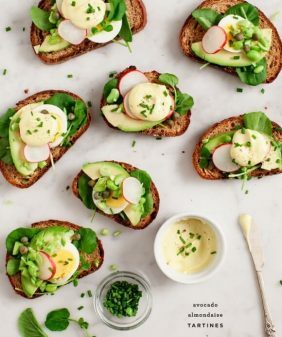 i usually saute my stems and then add the leaves but this sounds way yummier. These look awesome! 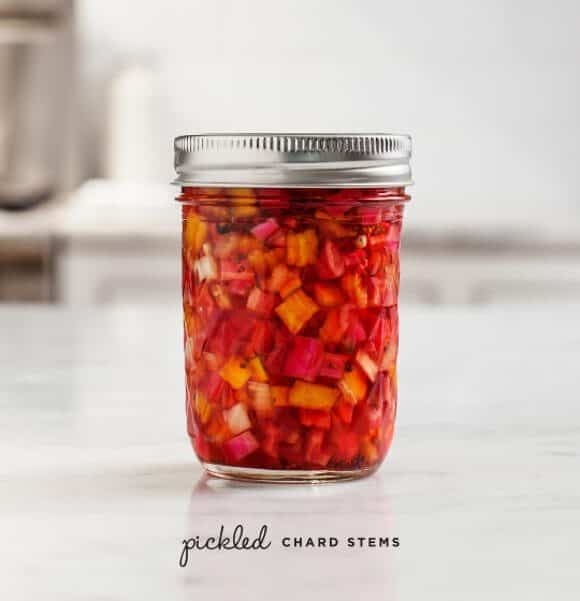 I tried a recipe for pickled chard stems last summer that was pretty much a disaster, but these might be giving it another go! This looks so pretty that I had to share it! I need to make this soon. The stems are my favorite part of the chard, but I’m afraid I’m in the minority. This will give my CSA and farm market customers another good way to utilize fresh, local veggies. Thanks so much! Is there anything I could use to substitute for brown mustard seeds? I try to avoid investing in spices I’d rarely use – of course I understand if it’s necessary, but thought I would ask! This rainbow chard is absolutely goregous! 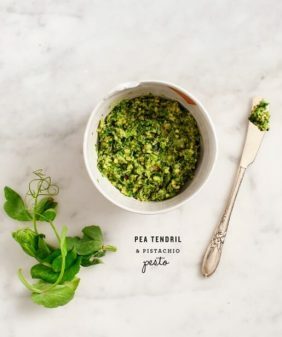 Thank you for featuring such a wonderfully simple dish that I can make in abundance and keep for a few weeks! I want to put this on a veggie burger! like that before. So good to discover another person with some unique thoughts on this topic. Gorgeous! And what a great idea! I am a massive fan of Japanese Breakfast – but generally leave out the pickled vegetables, but these are so pretty! I’m making them right away – yum! Made the pickled Swiss Chard Stems the other day…delicious! 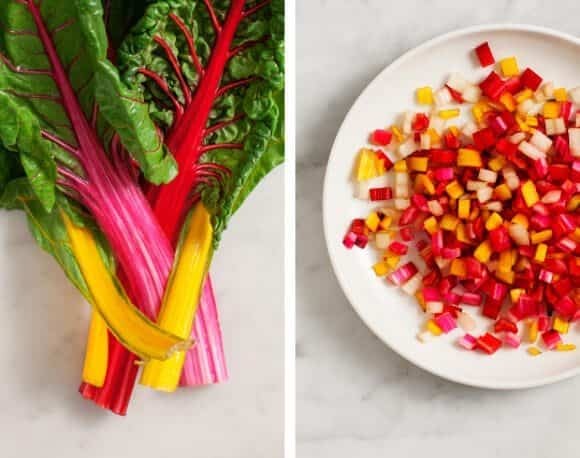 I bought rainbow chard for the first time today solely because of this recipe and your blog. Bring on the pickling! ha – hope you enjoy! Just moments ago, I read a lovely recipe elsewhere for making chard wraps, similar to lettuce wraps. I knew I could always throw the stems into my soup stock freezer bowl, but I like your idea so much better. This is today’s Recipe of the Day on a Facebook page I curate called Cooking with Whole Grains & Real, Whole Foods. Thank you for sharing it. I look forward to trying it. The chard in the stores is beautiful right now. This recipe inspired me to try my hand at pickling my chard stems! I made a few changes based on what I had on hand, but they came out as perfect little zingy bites of goodness. I hate wasting food scraps, so I loved your idea. Your photos are stunning. I mentioned you in my post as my source of inspiration. Thanks for all the creative ideas! 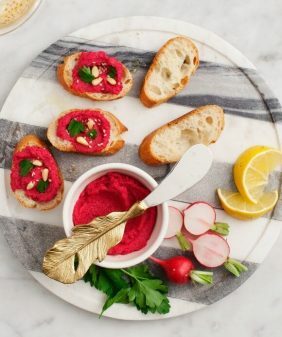 What about beet stems, would they work too? They are a little more stiff usually, so I’m wondering if they would work, pickled separately? Thoughts? Hi Susan, I think they should work, I can’t see why not (they might take a day or two longer to soften) – let me know if you give it a try! Hi Jeanine, well I went ahead and made them yesterday. There were a few recipes online and I tried one. I used your recipe for the rainbow Swiss chard stalks (I left them as sticks). But for the beet greens, I chopped them very fine and used your proportions for the vinegar and honey. I used shallots and mustard seed, but I also added a fresh thyme and crushed peppercorns per the other recipe. I’ll report back when I’ve tasted them. In the future, I’ll probably omit the pepper. I just realized that when I make chard or beet greens it’s one of the few times that I skip pepper — IMO it does something weird to their taste, so I should have considered that and skipped it. But we’ll see how it turns out for the stems. Sorry, that should have read ” a…heaping T of…thyme…” for a batch that filled a pint jar + a half-pint jar. has anyone processed this in a boiling water bath for longer shelf life?